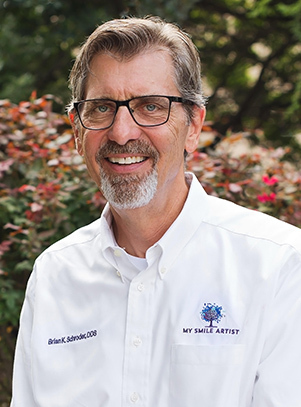 At My Smile Artist in San Antonio, smile makeovers begin with Digital Smile Design. 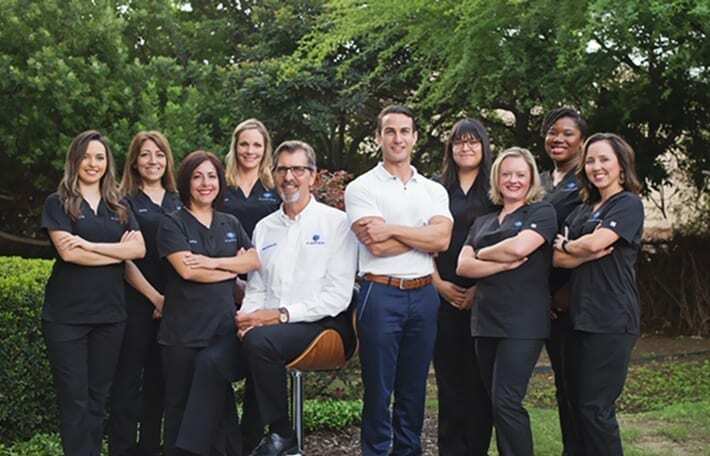 Dr. Imam and Dr. Schroder use this technology to design smiles with precision and provide you with a highly functional, highly aesthetic smile that complements your facial features. You’ll be able to try on your smile design before any work is done on your teeth. 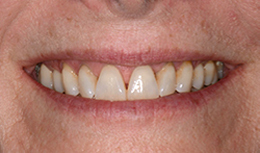 Many of the patients we see have received smile designs that they now want re-done. Either from lack of skills on the part of the dentist who did the work or from poor communication, the final result was not what the patients envisioned or wanted. 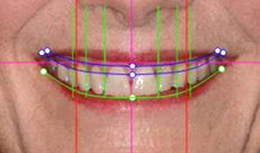 Digital Smile Design provides precision, prevents miscommunication, and ensures you receive a smile that you’ll love. Digital Smile Design includes information gathering, analysis, a mock-up, and a treatment plan to help us achieve your ideal smile. After the final design is approved, Dr. Imam or Dr. Schroder will receive a 3D printed model (from the DSD lab) of your perfect smile. The 3D model will be used to create a mock-up of the proposed perfect contour of your teeth, which you’ll actually try on. The 3D printed model will be used as a mold for creating your temporary smile makeover. When the mock-up is ready, you’ll come to our office to try it on. A tray will be placed over your teeth for a few minutes, and when it’s removed, the mock-up will be in place. We’ll give you time to look at the mock-up and see how it beautifully and perfectly enhances your teeth, smile, and facial features. Most patients immediately love the way the mock-up looks and feels and are ready to start treatment. But if you have any hesitation about your temporary smile makeover, Dr. Imam or Dr. Schroder will make the needed adjustments or work with the lab to ensure you receive exactly the smile you want. 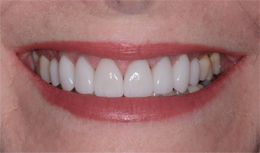 Only after your approval of the smile design will we prepare your teeth for treatment. The photos below show the progression of Digital Smile Design and how it helps create a beautiful smile that is uniquely yours. We start with digital photographs of your existing smile. 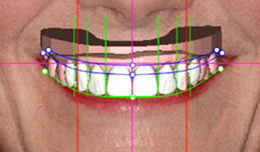 The proportions and shapes of your teeth are analyzed as we implement the changes you want to your smile. The shapes and color are then manipulated digitally to get the best result. Before any irreversible work is done on your teeth, you’ll try on a mock-up of your smile to see how it looks and feels. You’ll receive the smile design you loved and approved, and your teeth will be perfectly shaped. 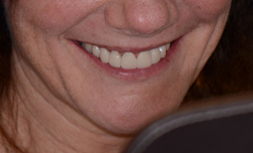 Interested in Digital Smile Design? Dr. Imam and Dr. Schroder are cosmetic dentists. They both have advanced training in the techniques and tools required to create beautiful smiles. And they are artists who guarantee that you will love your new smile. If you are interested in a healthy, natural-looking smile transformation, contact us to request an appointment for an exam. 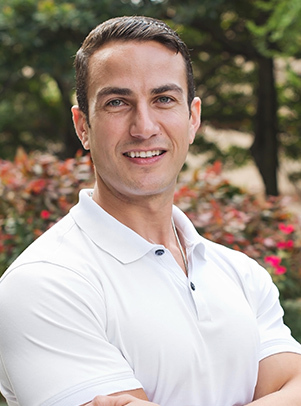 Dr. Imam or Dr. Schroder will explain your treatment options and the Digital Smile Design process. Call us to schedule or complete our Request an Appointment form. For a free consultation, visit our virtual smile consult page and follow the steps to get started.